Dear Deckadance owners & others. We would like to let you know that Gibson has acquired rights to our Deckadance DJ music application to be hosted under the Stanton brand. Gibson Brands [ Gibson, Stanton, Onkyo, KRK, Cerwin-Vega ]. 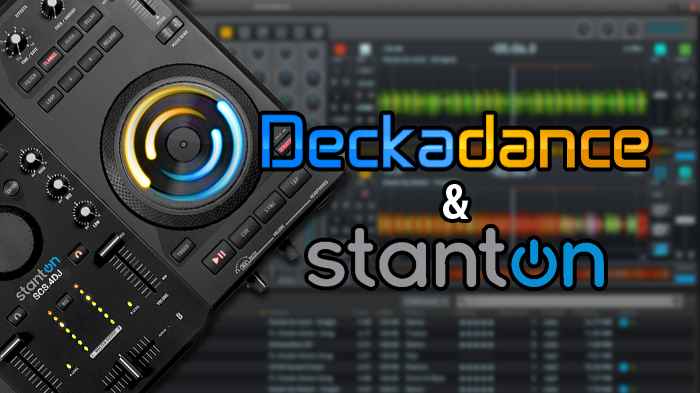 From our side, taking Deckadance further required expanding into hardware, which would have diverted attention from our core business developing FL Studio. With Gibson Brands building new products around Deckadance, not only will existing Deckadance customers receive ongoing support, but with Gibson’s proven hardware expertise Deckadance enthusiasts can look forward to a bright future. The core of Deckadance’s software team will remain intact to ensure consistency in future development, as well as make sure that future innovations are consistent with the current direction. Because the sale was a friendly and strategic move for both companies, Image-Line and Gibson will collaborate closely to create the smoothest transition possible. You should receive instructions from us in the near future on how to migrate your Deckadance license and account to the Stanton side of the Gibson equation. We will continue to host Deckadance 2.43 (and activation keys) on our servers for the foreseeable future, but do encourage you to download and save a copy for your use until Stanton comes on stream. Please create a support ticket if you have further questions.